Here is some information about the news page. If you see this […] at the end of a post, please click on the title of the post as it means that there is more to read. The Aurora Farmers Market and Artisan Fair had the privilege to partner with POGO, Pediatric Oncology Group of Ontario, for Breakfast in the park on Saturday October 7, 2017. It was a beautiful sunny day to spend eating, playing and shopping in the Town Park. We would like to thank everyone involved to make this event the success it was. 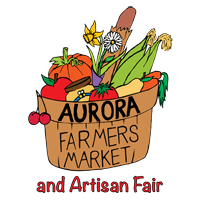 Soup is on at the Aurora Farmers’ Market!